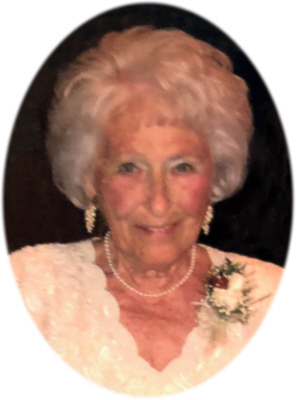 Ruth Elaine Kaufman age 91, of Breckenridge, MI, passed away Tuesday, July 3, 2018, at her home. Funeral Services will be held at Smith Family Funeral Homes, St. Louis, MI, on Saturday, July 7, 2018 at 1:00 P.M., with Pastor Phil Maxwell officiating. Burial will take place at Ridgelawn Cemetery, Breckenridge, MI. Visitation will be held on Saturday from 11:00 A.M. until the time of the funeral service. Ruth was born in St. Louis, MI on March 12, 1927, the daughter of Albert John and Charlotte Adelaide (Powers) Habaker. Ruth graduated from St. Louis High School with the class of 1945. She went on to attend Beauty College in Mt. Pleasant, MI. Ruth married Richard L. Kaufman on May 2, 1948 in St. Louis, MI; Richard passed away on August 4, 2007. Ruth was a life member of the First Baptist Church, St. Louis, MI, where she taught Sunday school for many years. She was also a member of the Salt and Pepper Ladies, Breckenridge Garden Club, and the Red Hat Society. She enjoyed entertaining, decorating, and hosting holiday parties for her family and friends. Ruth also enjoyed sewing and gardening. She was a hairdresser her entire life and was still doing hair out of her home. Ruth loved the time spent with her grandchildren and great grandchildren. She is survived by daughters: Malinda and Rodney Hadanek of Charlotte, MI; Sandra Rice of Grand Rapids, MI; 4 grandchildren: Whitney and Brian Sauer of St. Joseph, MI; Taylor and Tom Hartz of Waterford, MI; Heidi and Steve Luokkanen of Jenison, MI; Heath and Emily Rice of Alto, MI; great-grandchildren: Grant, Autumn, Ashton, Parker, Paige, Aiden, Lucas, Claire, Madelyn, and two more on the way. She is also survived by her sister Evelyn and Ed Marsh of Houghton Lake, MI. She was preceded in death by her parents, husband, and sister Marge Kelly. Memorials may be made to the American Diabetes Association. Online condolences can be sent to www.smithfamilyfuneralhomes.com. The family is being served by Smith Family Funeral Homes, St. Louis, MI.